Game consoles are perhaps too grown-up for your pre-kindergarteners to fully understand, and it doesn't help that there aren't many games geared toward very young children in the Wii Shop, but Lexis Numérique is slowly working to change that. Learning with the PooYoos: Episode 2 is a continuation of the first game, which was reviewed favorably here at Nintendo Life. This is more of the same remote-waving, dancing-around-the-room fun, so if your child is still young enough to enjoy the first game, they'll love this as well. This iteration of the series brings two new themes to entertain your child and get them up and moving. Plants features a cat as the main PooYoo, and it will lead your child through a hide-and-seek game, a dance session, and a trip up into the sky. 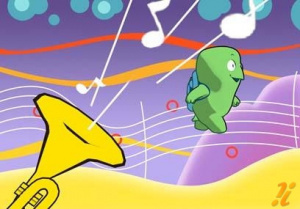 Music features a turtle as the main PooYoo, and it will have your child waking the correct PooYoo at intervals, dancing to the Alphabet Song, and then a short walk along a music score. Only the minigames have specific goals; the latter two portions of each theme are meant to get your child up and dancing around the room or just playing with the Wii Remote, as each waggle and button press makes random things happen on the screen – sprays of confetti, shooting stars, balloons floating past, and other bright, colorful things to attract their attention. 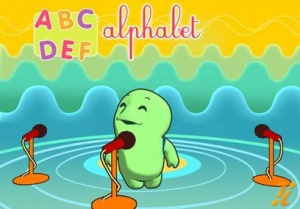 Between each section of the theme as it plays out, the female narrator helpfully describes everything happening on the screen, effectively guiding your child through the game as if it were an interactive TV show. Considering this title is aimed at budding gamers whose hand/eye coordination aren't quite up to speed, they've attempted to make the controls as accessible as possible. You'll choose a level of complexity to match your child's level of coordination before the game begins. 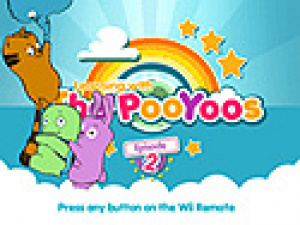 Little PooYoo will have them shake the Wii Remote or tap distinctive buttons as shown on the screen with large icons (the D-pad and A buttons in particular, so there's no confusion between 1 and 2 during the game). Big PooYoo will have them point the Remote at the screen and press A when necessary to choose things instead of just pressing certain buttons. No matter which control scheme you choose, the games all play out the same way, and there are no penalties for wrong choices or actions, just gentle encouragement and as many chances as it takes for your child to get it right. Like the first Episode, this too features little variety in terms of what happens during the game. The same words and colors are taught, the same music is played, and the same events play out in sequence every time you choose a theme to play. Where the target audience is concerned, however, basic repetitive gameplay is no issue, and this game is engaging enough for you to step in and ask your own questions and make your own observations as you supervise your child's play sessions. If your child has a particular favorite portion of the game, you can choose to skip around to whichever section they prefer whenever you like via the main menu or the pause menu, or if they don't want help from mom or dad, the menu icons are distinctly labeled with text and images both, and some are even narrated, allowing kids who can't quite read yet choose for themselves what they'd like to play. Visually, this game is on par with most children's TV shows, with its bright colors, adorable characters, and fun themes. Each item on the screen is clear and distinct, the button/waggle icons are easy to follow and understand, and the menu fonts are easy to read. The only remotely odd thing is that they chose a very stylized cursive font with which to display words taught during the game - while a 6-year-old will probably be able to read and understand it, a 3-year-old just now picking up the normal alphabet may be confused. That said, each word is accompanied by an icon and, of course, the narrator, who cheerfully explains everything in detail, and what opportunity for word recognition may be lost visually is saved via speech. Her voice is never grating or annoying, which is a blessing considering it's constantly present, whether by encouraging your child to make the correct choice or prompting them to press a button to see something exciting happen on-screen. The music and sound effects, too, are excellent, each new tune and noise serving to further draw you and your child into the magical world of the PooYoos. 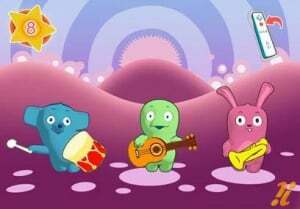 With children's TV shows attempting to reach out and get your kids moving nowadays, the Learning with the PooYoos series is a natural extension of this trend. Featuring a bright, colorful world, adorable characters, and a warm, kind voice that prompts your child to get up and move, it's a great way to be able to play a Wii game with your young one. It would've been nice to see more variety in the things it attempts to teach your child, but it's no different than a DVD they choose to watch over and over again. There's a good chance your 3-6 year old will get some decent mileage out of this title, and at 500 points, it costs less than most of the other toys and games they'll outgrow eventually. I bet you had fun with this, didn't you? The first one did really good in Holland. I'm curious to see what this one is going to do. The first pooyoo's game got a high score too, but was not good. Cute, yes, but my 3 year old was bored with the activities after playing twice. She could do them all on the "big pooyoo" level without problem. Too easy and not enough content. A very good reach-out to younger kids. I really think this'll cultivate the little ones better, especially since we're all lookin' for the games. ...Are they trying to boot out LeapFrog though? My 3 year old loves this! She loves to dance to it! They should do WW remakes of some old school "edutainment games," like math blaster, number munchers, there was one for reading too, but I can't remember, and of course, Oregon Trail is already on DSiWare. I wasn't aware I was being funny, or were you implying something else? Why would he have fun with a game for 3 year olds? The review doesn't mention that if the wii is set to another language than english the narration also changes to that language. Very nice! So now my kid has a great way to practice Spanish. Game is great, highly recommended. One thing it doesn't mention either is the game's playability if set to a language the child doesn't know, which will be the case for a whole ton of kids all across Europe. Only having the game available in what, 3 or 4 languages is really shortsighted.